It’s job-hunting season at the country’s universities and businesses are all out wooing the best graduates. It has been fascinating to watch this at a time when more than a quarter of the population unemployed, there are companies vying with each other to employ the best talent. The brochures that they produce, the presentations that they give and the way that they are going all out to present themselves as attractive to the soon-to-be new graduates is enthralling. I sat with a few of the students going through the prospective employers and it was most enlightening – the businesses that were household names, ones that they were most familiar with, were all high on their list to apply to. The others that no-one had heard of barely featured for them. As with customers, media and all other stakeholders, the stronger a company’s reputation with prospective employees, the better its situation is. In the case of finding top talent, the better known and the more potent the brand, the greater the talent pool available to it. Economic downturns are a fact of business life. However, those businesses that maintain a public profile – that stay in the public eye – are the ones that will have the best chance of surviving an economic downturn. Hunkering down and waiting for the bad times to pass may not be the best approach so here are 5 tips to help your business ride it out. Don’t panic – if you let panic take over, you won’t be able to respond rationally and constructively to the situation. Panic, largely emotional, has the power to destroy. You’ll lose the battle if you allow yourself to panic. You cannot afford to throw your hands in the air or to become paralysed by the fear of the situation. Take control. Take stock of where you are, what your strengths and weaknesses are and from there you can begin to build a solid strategy for your business to outlive and outlast a tough economic patch. Spend wisely – while it might be tempting, don’t abandon your marketing spend. Rather look for ways that will maximise that spend, ways to amplify your messages through below-the-line and social media marketing and brand building. Box smarter, not harder. Use content marketing and storytelling to connect with your customers – people always relate to stories. 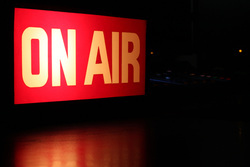 Use online media to increase your visibility and forge relationships with your audience. You could also start a blog, write a newsletter and find other online ways to interact with customers. Use the powerful multiplier effect of public relations – PR can be a high-reach tool to access your customers and other key stakeholders. The narrative generated by PR can reach your investors, partners and clients to create brand awareness and interest. PR is able to build credibility and leverage marketing spend. If you can’t afford an agency, establish who the key journalists in your field are and connect with them directly. If you go this route, be careful not to oversell your offering and always respect their deadlines. Keep your message on target – this will help to position your business exactly where you want it to be. Focus on the positives of your offering – quality, excellence, stability, durability – whatever enables you to stand out from your competitors and makes your offering unique and valuable. Showcase the benefits of your product or services and present these from the perspective of your customer. Let them know the value that you add, not about discounts, in order to build a sustainable business that will survive the downturn and thrive during the upturn. Focus on quality – quality is always a successful strategy; it’s what lasts the distance and wins in the long term. Never give up on producing quality. Don’t drop prices – focus on what sets you apart, what makes your product or service worth the extra cost. Price cutting is a race to the bottom that no-one wins. Stay firm, stay strong and build a solid base for the upturn, which will surely follow the downturn. If others around you are cutting their marketing spend while you retain yours, you will be ahead of the curve when the economy turns, leaving them to play catch-up. Invest in the future now and it will enable you to perform better later on. We have previously written about the importance of undertaking investor relations. Here, we look at why you might want to consider engaging an agency to assist you with investor relations. When marketing your business to investors, you can opt for in-house investor relations expertise, you can look to outsourcing to a specialist communication agency with investor relations expertise or you can use a blend of the two. Managing and controlling external opinion about your business can often be the difference between success and failure, with significant upside potential if communication strategies are implemented successfully. Here are five compelling reasons to opt for an agency. A consultancy’s prime focus is communication and stakeholder relations. Through focusing on specific tasks and skills, the agency develops considerable expertise that is hard to replicate in-house. Through deeply focusing on its activities, the consultancy is able to improve its specialist knowledge and enhance its abilities. In addition, a company which needs to build in-house capacity risks losing focus on its primary business. An investor relations consultancy can manage expectations proactively through ensuring consistency of message and ongoing communication. This results in better stakeholder relations and improved interaction. Trust is built between the entities when there is greater information flow and improved quality and integrity of disclosure. And establishing and maintaining trust is one of the key issues that face corporate executives. Trust means more accurate pricing of a company’s shares and it means more stable and confident investors. Greater transparency leads to less disruptive investors and better relationships. A consultancy has the ability to step back and view a situation from the outside, providing an independent point of view, the ability to “see the wood from the trees” as well as looking holistically at the business and the work that it does. It’s easy to get tunnel-vision when working within a company. It can be challenging for employees to view things differently or objectively, to raise new ideas or concerns from the inside, especially if they might fear for their jobs. With an intense knowledge of and relationships with the media, an external consultancy will be able to leverage those relationships across different clients. A specialist agency is able to identify and engage with the most appropriate media for a particular story and knows how to manage the media. In our consultancy, for example, we find that the media often approaches us to source input for an article or a spokesperson for an interview because we have a range of clients. We effectively become a one-stop shop for the media, obtaining content from a variety of sources for them. For the equivalent of – or even less than – a modestly paid employee, a client has access to an entire team that can move the needle on important projects. Each team member brings different skills and backgrounds to the table and an agency will provide strategic input, planning and management skills. This, together with innovation and fresh insights, can be secured for the business at a far lower cost than could be achieved in-house. There are, of course, also benefits to maintaining in-house capabilities and often the most successful campaigns are the result of bringing together a strong internal team and a great agency. While this may not always be an option, especially for a smaller company, having a quality, professional agency on board is the best option. We’d love to have your thoughts on the internal/agency debate. We can take two important lessons from the December 2017 Steinhoff accounting scandal. Warren Buffett is widely quoted as saying: “It takes 20 years to build a reputation and five minutes to ruin it.” There is no such thing as overnight success, but there certainly is overnight failure. In the case of Steinhoff, the company was in the making for 50 years. It had reached the Top 40 on the Johannesburg Stock Exchange, making it one of the 40 largest market cap shares on the bourse. The price peaked at over R95 in 2016. From November that year to October 2017, it traded in a relatively narrow band between R60 and R70. In November 2017, it broke below R60 but the real damage came during December 2017. The share began the month on R55.81, lost R10 in two days and then plunged 61% the following day. In the first five trading days of the month, the Steinhoff share price fell 89%. And it has yet to recover. Once a crisis takes hold, the reputational damage can be swift and ruthless. He’s quite correct. When a business (or any other entity) is in a crisis, the first thing that needs to be done is to communicate with stakeholders. This is Crisis Communication 101. Silence merely creates a void in which speculation becomes rife and once that happens, it becomes increasingly hard to separate the facts from the fiction. The “fake news” phenomenon likes nothing more than a lack of information in which to breed. Even a month after the crisis broke, the board did little to clarify or elaborate on the situation for stakeholders, resulting in the share price languishing at about 5% of its peak for the month. Reputations are precious and need to be managed. Negative headlines can – and do – impact the bottom line. Take some time to review your reputation management practices and incorporate issue management protocols, procedures and guidelines within them. What other lessons does this crisis offer us? Are video posts on social media the best option? Video posts on social media are proving exceptionally popular, but will they replace the written word? And should they replace the written word? Human nature means that people will generally opt for the easiest path. And in terms of communicating an idea, it’s far less work to watch a video than to read a passage. It’s like having a story or article read to you – it doesn’t require the same level of involvement and concentration. It’s also substantially easier to produce: just start the camera and talk. But there are distinct drawbacks to posting videos. For a start, the average reading speed of 250 words per minute is significantly faster than the average speaking rate of 130 words per minute. This means that you can convey considerably more – and even more complex ideas – via the written word compared to a video. And for those who can speed read, they can get through a passage even faster. It’s not really practicable to speed up a video. Written passages and documents can also be skimmed to get to the relevant elements. A video needs to be watched in its entirety to uncover those parts which you want to hear. No-one would ever write the way that Trump blathers on. Rather, writing enables you to marshal your thoughts coherently and put them down in a concise, precise way. Clear writing conveys clear thinking. Your message and thoughts can be crafted carefully so that you say exactly what you want to. No more, no less. While videos are becoming increasingly popular, good videos are expensive to produce and not all company spokespeople are comfortable in front of a camera. Whereas the written word can proceed from draft to editing and final product with a great deal of thought taking place. There are certainly times when a good quality video could – and probably should – be used. But unless the video is well crafted, it can detract from your message. Although communicating with all stakeholders is enshrined in the King IV Code of Corporate Governance, there has been some spectacular bungling by companies of their communication with the investment community. In a world where confidence in the corporate sector has been eroded by dramatic failures there is clearly the need to create an understanding of a company’s affairs by investors. When BP’s Deepwater Horizon oil rig exploded in Gulf of Mexico on 20 April 2010 causing an oil spill, BP's share price was 648.20p (GB). At first, CEO Tony Hayward tried to downplay the impact of the disaster on both the company and the environment, stating that the impact will be “very, very modest”. By 30 May, Hayward had reached a nadir in his media engagement stating: “I’d like my life back.” From this point, there would be no going back for him. By 29 June, the price had collapsed to 298p. Throughout the crisis, Hayward seemed overly defensive and revealed little. It came as no surprise when his resignation was announced on 27 July, in spite of the leak being successfully capped earlier in July. The share price never really rose above 500p after the incident, in spite of the then booming oil price and a subsequent collapse in oil has seen the share price slide to below 350p. And who can forget the rout that Pinnacle Holdings experienced in March 2014? After peaking at over R26.00 in August 2013, the share price drifted to around R23.00 towards the end of February 2014. The arrest of an executive director for alleged bribery in March 2014, saw the share close at R13.90 on 30 March 2014 and by mid-August, the share was trading below R10.00. In the two days after the announcement, Pinnacle’s market cap fell to R1.95bn, from R3.4bn — a total loss of R1.5bn. But the issue was not so much the arrest – the charges were subsequently dropped – as the communication vacuum in which it took place. It took Pinnacle 20 days to announce the arrest, during which time several directors sold Pinnacle shares equivalent to about 1% of the company. And even once the announcement was made, management seemed reluctant to have much interaction with the media. In spite of an uptick following the charges being dropping, Pinnacle’s share price continues to languish in the R11.00 to R14.00 range. By contrast, the handling of the Pick ‘n Pay poison scare in 2003 resulted in a relatively small impact on both the share price and company sales, in spite of a decision to keep silent on the matter for seven weeks. Once the company went public, CEO Sean Summers handled media attention with aplomb: always available, always proving information and keeping the public informed. Shareholders rewarded the strategy with a share price that held its own, only dipping 3.6% in the week after the announcement, after reaching an all-time high the previous week. Not only that, but some customers were actually going out of their way to shop at Pick ‘n Pay as a means to support the group: in a survey at the time, 87% of all respondents polled indicated that they would support Pick ‘n Pay and would make a point of shopping there. What is clear from these case studies is that investor sentiment plays an enormous role in determining share prices. 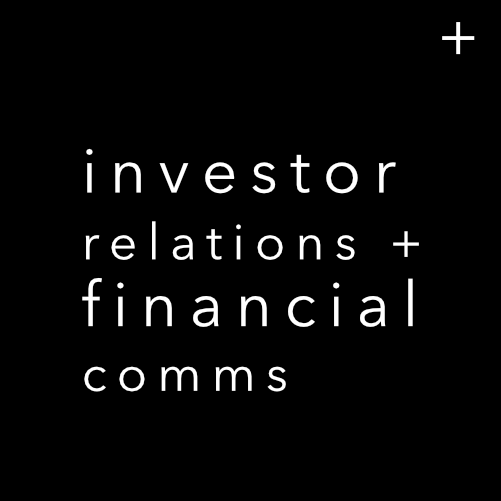 An open channel of communication with investors is essential to keep them well informed and able to base investment decisions on facts rather than speculation and it behooves a company to undertake sound investor relations. It is in a company’s interests to maintain a share price that is consistent with an accurate view of its performance as well as its future prospects: too low and the company is an easy target for a takeover while making fund raising expensive and inhibiting its ability to purchase other entities; too high and the risk of shorting and lack of appeal for new share options hamper the company. Engaging with shareholders may be a JSE listing requirement and important from a governance perspective, but it is equally important for keeping shareholders well informed and in the best position possible to make investment decisions. It’s time to ban the word “publicist” from the PR lexicon. And while we’re at it, let’s get rid of the term “spin doctor” too. Neither expression does the profession any good. Michael Shea, a career diplomat and press secretary to Britain’s Elizabeth II, has been credited with coining the term “spin doctor” when describing his role as press secretary as that of a "quasi-spin doctor". But, creating “spin” implies manipulating the facts to suit the business or individual which, in turn, suggests dishonesty and an attempt to control the news. Newsflash – the adage “there’s no such thing as bad publicity” is, in fact, a fallacy. There are MANY examples of bad publicity being just that: bad publicity. We only have to look at some recent examples in South African social media – such as Penny Sparrow’s racist comments on Facebook and Gareth Cliff’s efforts to defend free speech. Both have been the subject of bad news and tarnished reputations. The latter is suing his erstwhile client M-Net for R25m, for firing him (or cancelling his contract). Even if Cliff were to win his court battle, his reputation has suffered irreparable harm and is unlikely to have the same value as before. He will need to hope that people have short memories if he wishes to rebuild his career. And note, it does not matter if Cliff is not guilty of being a racist – the perception has been created and he will struggle to shake it. PR practitioners who describe themselves as publicists do the industry no favours. PR involves adopting a holistic, strategic approach to managing a reputation. It involves assessing the essence of a brand (and, yes, people can be brands) and creating a framework within which a brand interacts with its stakeholders. Managing a reputation entails aligning the general perceptions about a brand with its real DNA. It means being truthful with stakeholders, having an open and honest conversation with them. And it also means listening to them. Reputation management involves identifying other people’s attitudes toward a brand – how they feel and what they say – and aiming to ensure that the general consensus is in line with the brand’s reality across all publics. PR and reputation management needs to be carefully thought through, two-way strategic communication. It shouldn’t be any other way. I would love to hear your comments on this. ﻿﻿I entered the investment marketing arena through the side door, which has proved to be to my advantage. With decades of experience in investment analysis for several stockbroking firms and some time spent in financial media, it was a logical step to move into investment marketing. This has taken several forms for me, from investment marketing for asset management companies to communications for financial service companies and investor relations. Let me share with you some of the things I’ve learnt with you over the years. Know and understand your client – a fellow investor relations practitioner once said to me that “You don’t have to know your client’s business, you just have to know about communication”. Those words have stuck with me, but here’s the thing – I don’t believe she was correct. It’s a given that, if you are practicing marketing and communication, you need to know and understand the field. But I believe that it is essential to have a thorough knowledge and understanding of your client’s business and the environment in which it operates as well. You can tell your client’s story so much better if you understand the business and its key drivers. You will have a better grasp of the target audiences, the appropriate media for those audiences and how to craft messages that will resonate with them. With the communication industry saturated with women, having specific industry knowledge can be a key differentiating factor. So develop a wonderful depth of sector understanding and a keen interest in your clients’ businesses – it can take you far. For example, when I pitched for a client in the retirement fund space, it helped that I had already read the Pensions Fund Act. An understanding of the stock market and how it works is invaluable when dealing with buy-side analysts. Find your niche and specialise – the more specialised and differentiated you are, the more it will benefit you. People who are recognised as specialists have greater pricing power and are more resistant to market vagaries. Figure out what it is that you can be incredibly good at, hone those skills and develop a competitive advantage. Become the best supplier of your services. The more distinctive your offering, the fewer substitutes will be available. This leads to market power – the ability to charge a premium for your services – and the ability to earn above-average profits in the long run. This strategy can be applied in an individual context (such as your personal branding) or to your business. The key is that the more you narrow your focus, the greater the potential rewards will be. Stay on top of trends – Trends lead to opportunities. The business environment is changing at lightning speed and it’s critical to remain current. Stay curious. Be able to extract the essence of change and make sense of it, and do so on a continuous basis. This means you should commit to lifelong learning – as Steven Covey advised us in The 7 Habits of Highly Effective People, we need to “sharpen the saw” and that applies as much to business as to anything else. Scanning the environment and accurately identifying long-term trends will provide important, actionable insights into the business environment, identify new business opportunities and assist in positioning an organization for the future. From this base, strategies and counter-strategies can be devised to maximise the opportunities and overcome the threats posed to a business. I have, for example, watched the polarization of the communication industry into “digital” agencies and “traditional” agencies. In reality, the skills required are the same, yet some practitioners are simply not acknowledging the trend towards converged media – the concept that earned, owned, and paid media should dance together. Network actively – never underestimate the power of networking. Much of the business that I have gained has been through referrals by contacts and connections that I have. In fact, research by the International Communications Consultancy Organisation (ICCO) showed that the top two sources of new business for member agencies were “Referrals from existing clients” (88%) and “Personal contacts” (81%). Trailing way behind in third place was “Enquiries from my corporate website” (26%). Relationships not only lead to better and increased business, they can enhance knowledge and idea sharing, which often leads to innovation and greater success. Networking can also expose you to partnership and joint venture possibilities, or simple associations, which can open other doors for you and your business. It is also useful for building your reputation. But note that networking is about sharing and reciprocity – it’s a two-way street and you need to be prepared to put into relationships as much as you are taking out of them. Stay ethical – there may be a temptation to flout ethics and this can be particularly relevant when it comes to investments, but it is vital to remain professional at all times. The ability to maintain confidentiality and to communicate honestly are put to the test in this business. Act with integrity in all your dealings and maintain fairness and honesty. When a conflict of interests arises, it needs to be dealt with openly and whatever steps necessary should be taken to avoid it. There are no gray areas when it comes to ethical behaviour. There is only one North on a moral ﻿compass so make sure that is where yours is directed. ﻿ ﻿﻿Even if you delete your post swiftly, someone is likely to haves captured it and it will live on. Posts can be swiftly copied to services like Storify or Chirpstory meaning that deleting them from your timeline doesn’t necessarily remove them from the internet. And, while anything you delete may not appear on your timeline, the items are cached on Google and picked up by other aggregators such as topsy. Freezepage keeps an accurate image of a webpage at a moment in time – ensuring that as pages changes, they can still be recalled as they were. The increasingly popular Snapchat (especially among the youth), indicates that the pictures sent this way are deleted within 10 seconds. But don’t be fooled. Although the pictures (snaps) and the chats disappear to view, they remain on the internet ﻿and on your android phone, albeit hidden from viewand and on your android phone, albeit hidden from view.and on your android phone, albeit hidden from view.and on your android phone, albeit hidden from view.and on your android phone, albeit hidden from view.and on your android phone, albeit hidden from view.﻿and on your android phone, albeit hidden from view. ﻿Closer to home, Primedia may have deleted the controversial clown cartoon, but I bet you have seen it elsewhere. A quick Google search will yield any number of copies of it displayed on the internet. How do you choose a social media agency? That is, you shouldn't select a stand-alone “digital” or “social” agency. That is simply a red herring. If you want to succeed in social media, you ought to look for an agency which can implement a stakeholder relations and reputation management programme across all media. Social and digital media simply offer different channels through which to spread your message. They complement traditional media and should be utilised holistically. Your efforts need to be part of a rounded programme, seamlessly integrated across all media. And if you do opt for different agencies or practitioners, be sure to keep them fully informed regarding your projects and activities. For example, we found out that one of our clients had a radio advertising burst when we heard it on air for the first time. What a pity we weren’t informed earlier, as the message could have been amplified via social media. We have previously written about the option of outsourcing your social medial campaign (Are most small and medium businesses wasting their time on Twitter?) ), but how do you know that an agency can handle social media? There are essentially three reasons to outsource the management of your social media campaign, and these give insight into the way to choose an agency. head in times of crisis. Do you feel confident that this agency will be competent to reply to interactions or enquiries on your behalf? How good is the agency at marketing and sales? Can the agency craft good tweets? Writing a good tweet requires skill and good tweets get retweeted. What credentials does the agency have in terms of content creation? Does the agency offer a full range of services that give it expertise in the areas of marketing, advertising, business and public relations? Do you get to meet the person who will be producing content for you and who will managing the tweeting process and do you have confidence in this person? If not, why not? How does the agency use social media to market itself? A well-run social media campaign is time and labour intensive. It is “social” for a reason: it requires human interaction. This cannot – and should not – be faked, whether it is proactive or reactive engagement. Companies and agencies often resort to using automated programmes to deal with the issue of time management. These can be excellent tools to organise and manage accounts, especially across different accounts and different media, but they need to be used with caution: imagine the scheduler pumping out tweets at night or over a weekend when some heart-breaking disaster occurs which make your tweets seem very inappropriate or even insensitive. “Bot” accounts are absolutely fine, if they are clearly identified as such. Two examples would be @MarmiteBot which replies with “My mate marmite” to every tweet with the words “marmite” and “toast” in it, and @RedScareBot which responds with a random comment each time “socialism”, “communism”, “communist” or some other variation feature in a tweet. What method of tweeting will be used? To what extent will there be a hands-on manager? What degree of input does the agency require of you in order to make a social media campaign work? Will outsourcing enable you to focus on your key competencies and grow your business? We have frequently referred to the importance of quality content in social media (see: Content is King). This is no different to ANY stakeholder relations programme and the agency should be able to reflect that. Does the agency understand business in general and your business in particular? Is the agency able to talk the language of your business? Does the agency understand your target audience and can it relate to your audience? This is essential given that engagement is a prime objective of social media. Does the agency focus too narrowly on products or services rather than taking a more strategic view, encompassing industry trends or customer needs? Are the social media activities support by blogging and other activities? Will the agency you use be able to write interesting articles for your blog? You need to take into account an agency’s success factors and overall ability within stakeholder relationship management in general and social media in particular. Does the agency look at the campaign strategically and integrate across all platforms? Can the agency accurately determine which social media platforms are most suited to your business and unique goals? What social media case studies within your industry can the agency provide? What has the agency done for existing clients? How does the agency measure the return on investment (ROI) and are its measures aligned with your social media objectives? What reporting does the agency provide? manage your business, you will be in a better position to reap the rewards of a social media campaign. Economist, data scientist, communicator and fascinated by the world around us.